Consumers worried about how their credit rating might affect the costs they face for carrying credit card debt might soon be able to find a bit of relief. The federal Consumer Financial Protection Bureau will begin overseeing the credit reporting industry on September 30, and therefore help to ensure that Americans only have accurate information listed on their profiles, according to a report from the agency. Credit reports are used to create consumers’ credit scores, which in turn are used to determine not only eligibility for loans, but also the terms of those agreements. In all, there are about 400 companies nationwide that participate in some sort of credit scoring, but only about 30 of the “larger participants” will be regulated, the report said. Those 30 companies alone make up 94 percent of all receipts in the industry, and the three largest issue more than 3 billion credit reports annually for some 200 million Americans. Erroneous markings on a credit report can lead to significant problems for borrowers and in some cases prompt them to seek out debt relief options. (Reuters) – The U.S. consumer watchdog agency said o n M onday it will start closely supervising credit reporting companies in September, bringing the industry under strict federal supervision for the first time. The Consumer Financial Protection Bureau, in adopting a rule to oversee the companies, said the industry has a tremendous influence over Americans’ financial well-being. “Credit reporting is at the heart of our lending systems and enables many of us to get credit, afford a home, or get an education,” CFPB Director Richard Cordray said in a statement. “Supervising this market will help ensure that it works properly for consumers, lenders, and the wider economy,” he said. About 30 such companies that take in more than $7 million each year will be subject to federal supervision under the CFPB’s new rule. The consumer watchdog agency said it was given the authority to oversee larger businesses in this market by the Dodd-Frank financial oversight law Congress passed in 2010. The law also created the CFPB, which officially opened in July 2011, and gave it authority over consumer products such as credit cards. The agency first proposed in February to supervise credit reporting agencies and debt collection companies. It was the agency’s first proposed rule under its authority to regulate “larger participants” in consumer financial markets. Cordray said at the time that those industries were chosen because of the increased role they are playing in consumers’ lives after the 2007-2009 financial crisis. The CFPB said there are about 400 consumer reporting agencies in the United States, but the 30 companies it plans to oversee take in about 94 percent of the sector’s annual revenue. The largest companies in the industry are Equifax, Experian and TransUnion. The companies will face reviews of compliance systems and procedures and on-site examinations, and they will have to produce reports for regulators, the CFPB said. The agency said consumer reporting to date has been subject only to law enforcement authority at the federal level, with several agencies sharing responsibilities for writing rules. This meant no single federal agency could fully see how the companies operated. The three largest issue more than 3 billion reports each year and keep files on more than 200 million Americans, according to the CFPB. The watchdog also will post questions and answers about credit reporting on its website to help consumers determine what to look for in credit reports and how to dispute errors. The agency expects to finalize its debt collection rule this fall. (Reuters) – Consumer sentiment cooled again in early July to its lowest level in seven months as Americans took a dim view of their finances and job prospects, a survey released on Friday showed. Separately, producer prices rose only slightly last month as energy costs dropped, suggesting inflation pressures remain muted and leaving the door open for more efforts to stimulate the economy by the Federal Reserve. Consumer sentiment eroded for the second month in a row after a streak of gains that started in September and Americans’ attitudes about their financial situations for the coming year reached an all-time low. Analysts said that while the drop in the main index was disappointing, attitudes were still not as dire as last summer when fears of an imminent recession were high. At the same time, however, “The lack of a rebound, despite some help from lower gasoline prices and a modest bounce in equities in the past month, raises the specter of growth remaining stuck at a low level for a while,” said Jim O’Sullivan, chief U.S. economist at High Frequency Economics. The Thomson Reuters/University of Michigan’s preliminary reading on the overall index on consumer sentiment fell to 72.0 from 73.2 in June, frustrating economists’ expectations for a slight gain to 73.4. It was the lowest level since December 2011. Worries about the strength of the global economy have grown of late, along with concerns the euro zone debt crisis is taking its toll. After growing at a 1.9 percent annual rate in the first quarter, the U.S. economy is not expected to have done much better in the second quarter. Only 19 percent of consumers expected to be financially better off in the coming year, the lowest proportion ever recorded by the survey. Americans were also gloomy about their longer-term prospects, with 39 percent anticipating their situation would be better in five years. “You can’t get overly concerned at the moment, but it’s just an indication that the average household is pretty queasy about the current state of play and the U.S. economy,” said Cary Leahey, managing director and economist at Decision Economics. The gauge of consumer expectations slipped to 64.8 from 67.8, also the lowest since December. While there was widespread recognition of an economic slowdown, that did not have a large impact on consumers’ view of their present situation, and the barometer of current economic conditions rose to 83.2 from 81.5. Still, news of job losses was mentioned twice as frequently as job gains, the opposite of the first six months of the year. “The greatest concern to consumers is that wage and job growth will remain depressed over the foreseeable future, and that these meager gains are likely to be further diminished in the years ahead by rising taxes and benefit cutbacks,” survey director Richard Curtin said. Financial markets had little reaction to the data. U.S. stocks rose more than 1 percent in late morning trading as data from China allayed concerns a slowdown in the world’s second-largest economy would further hinder growth worldwide. While China’s growth rate slowed to 7.6 percent, it was better than some in the market had feared and left the door open for more stimulus. The Labor Department said on Friday seasonally adjusted producer prices rose 0.1 percent last month. Analysts polled by Reuters expected the index to drop 0.5 percent. “The modest 0.1 percent increase in U.S. producer prices in June is another illustration that the Fed doesn’t need to worry about inflation, at least not in the near-term,” said Paul Ashworth, chief U.S. economist at Capital Economics in Toronto. While wholesale prices of finished goods rose, costs for intermediate and crude goods fell, suggesting less inflation pressure down the road. Energy prices dropped 0.9 percent in June, dragged down by a record drop in prices for residential electric power, which fell 2.1 percent. Diesel fuel prices sank 8.8 percent. Higher food and gasoline prices took analysts by surprise, with gasoline prices up 1.9 percent. However, declines in prices for less-refined petroleum products, which go into making gasoline, pointed to softer costs ahead for gasoline. Cheaper energy prices are likely to help the economy as lower costs for fuels and other input prices leave companies with more money to spend on other things, such as equipment or even hiring. Planned spending cuts and tax hikes next year could send the U.S. economy into recession, but the survey showed consumers are not yet overly worried about the so-called “fiscal cliff,” with Americans expecting Congress will take action to avert a sharp tightening in policy. But confidence in government economic policies remained near all-time lows at 11 percent. So-called core inflation, which strips out more volatile food and energy prices, rose 0.2 percent, in line with expectations, the Labor Department data showed. While overall inflation has cooled recently, core inflation has held at higher levels. Some policymakers at the Fed worry that further moves to lower borrowing costs could fuel higher inflation, though the central bank has said it was ready to do more to help the economy if needed. The Fed holds its next meeting at the end of the month, while Chairman Ben Bernanke will be delivering remarks to Congress next week. Americans’ inflation expectations stayed in check in July. The University of Michigan survey showed consumers’ one-year inflation expectation falling to its lowest level since October 2010 at 2.8 percent from 3.1 percent. The five-to-10-year inflation outlook held steady at 2.8 percent. In another sign of the impact of the debt crisis in the euro zone, printer maker Lexmark-International Inc cut its second-quarter outlook, hurt by the impact of exchange rates and weaker-than-expected demand in Europe. The Consumer Financial Protection Bureau, or CFPB, will be a year old July 21. Its complaint database has been live six weeks and registered 1,549 cases, or about 31 per day. So far, Capital One (NYSE: COF) has gotten the most complaints, while blue chip American Express (NYSE: AXP) has been nearly unscathed. The database offers the public an easy-to-use interactive snapshot of the types of problems credit card customers have had with the largest card issuers. As one would expect, banks with the largest number of cardholders also have the highest volume of complaints, but this isn’t true across the board. For example, American Express had the highest number of transactions in 2011, at $519.5 billion in purchase volume, according to the Nilson Report, making it the No. 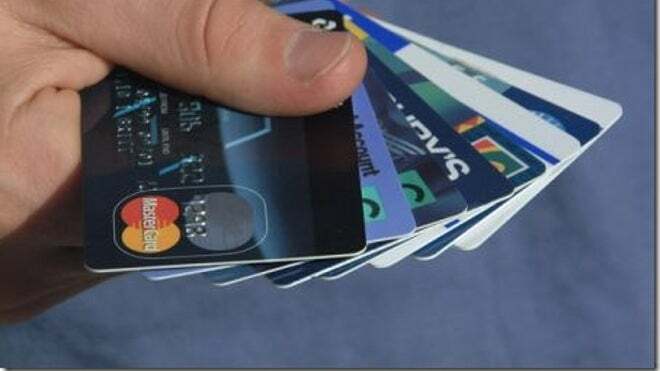 1 credit card handler, but it has received the third-lowest number of complaints among the country’s top seven banks in terms of volume of credit card transactions. The seven top banks that received more than four out of five of the complaints registered so far on the CFPB’s database handled $1.7 trillion in credit card transactions last year — about 83 percent of the total of $2.05 trillion — and ended 2011 owed $535.2 billion from people who carry debt on plastic. There are 32 types of complaints in the database. The most common issues included billing disputes, overdraft or other fees, annual percentage rate adjustments or credit reporting conflicts. Here are the top seven offenders. Coming in at No. 1, Capital One so far has received 335 of the registered consumer complaints, or 21.6 percent of the total. The bank was the fifth-largest handler of credit card purchases last year with $115.6 billion in purchasing volume, and it was the fifth-largest holder of outstanding credit card debt, $50.9 billion, at the end of 2011. At No. 2 is Citigroup Inc. (NYSE:C). Customers have so far registered 267 complaints, or 17.2 percent of the total. Citibank was the fourth-largest handler last year, at $194.6 billion, and it ended 2011 with $92.3 billion in outstanding credit card debt owed to it. The bank ended last year in third place in terms of money owed to it by credit card users. JPMorgan Chase & Co. (NYSE:JPM) came in a close third in terms of complaints filed to the CFPB so far, at 247, or 15.9 percent. Chase is ranked as the second-largest credit card lender in terms of customers’ purchases ($370.8 billion) and is the No. 1 bank owed money from cardholders as of the end of 2011, at $130 billion. Bank of America Corp. (NYSE:BAC) has been the target of 202 registered complaints, or 13 percent of the total, which puts it in fourth place. BoA was the third-largest credit card transaction handler last year at $248.6 billion and was the second largest in terms of outstanding debt owed by cardholders at $112.6 billion. Complaints against American Express, the largest handler of credit card transactions last year and the fourth-largest holder of outstanding credit card debt ($80.2 billion) at the end of 2011, represents 5.9 percent of the total, or 92 complaints so far. Discover Financial Services (NYSE:DFS) was the sixth-largest hander of credit card transactions ($100.1 billion), and it held the sixth-largest amount of outstanding debt ($46.6 billion) as of Dec. 31. It also ranks sixth in terms of registered complaints at 74, or 4.7 percent of the total. US Bancorp (NYSE:USB) has 26 complaints registered against it, or 1.7 percent of the current total. The bank handled $84.5 billion in transaction volume and had $22.6 billion in outstanding debt from its credit card customers by the end of last year. U.S. consumer credit expanded far more than expected in May, a time when the broader economy seemed to cool. Consumer credit grew by the most in five months, rising by a seasonally adjusted $17.1 billion to $2.6 trillion, Federal Reserve data shows this afternoon. Credit increased at an annualized 8.3% rate, the best pace since last December’s 9.3%. Economists had expected credit to expand by only $7.8 billion. Growth in borrowing suggests Americans sought financing for cars and other large items, as well as loans for education, in a period where global fears and grim readings on the U.S. economy weighed their minds. Consider that the pickup came in the same month where economists speculated about the impending insolvency of the eurozone, and U.S. job growth slowed to 77,000. Meanwhile, in May, nonrevolving debt—loans for education loans and big-ticket purchases—climbed by $9.1 billion. The large majority of that increase came from federal government loans, mainly used for schooling, which rose by $6.2 billion. Consumers’ willingness to seek long-term debt can be a boost to car companies such as Ford and General Motors and other businesses selling mostly large items. In all, consumer spending is the key driver of economic growth, making up some 70% of all activity in the U.S. It’s been restrained in past months by the weak job growth and worries about Europe. Today’s report does not show any data on mortgages or other real estate loans. Debt burden rises The debt burden among Canadians is swelling, not because they’re borrowing that much more, but because their disposable income isn’t rising faster. The debt-to-disposable income ratio climbed in the first quarter of the year to a record 152 per cent, from 150.5 per cent in the fourth quarter of last year. Borrowing actually slowed in the first quarter, to 0.9 per cent, a sign that Canadians are slowing down when it comes to consumer credit and mortgage loans. But at the same time, growth in the disposable income of families slowed because of a dip in investment income and a hike in taxes and other “social contributions,” Statistics Canada said. Having said all that, household net worth increased by 1.8 per cent as markets climbed. So while investment income may have been down, the value of equities on the Toronto Stock Exchange rose 3.7 per cent, for the second quarterly gain in a row. Economist Diana Petramala of Toronto-Dominion Bank attributed the slowing in borrowing to tighter mortgage rules from Ottawa, rather than “a responsible attitude” by consumers. “Nonetheless, the level of Canadian household debt has become excessive as the debt-to-income ratio continues to edge towards the 160-per-cent level that pushed U.S. and U.K. households into trouble,” she said. Only yesterday, the Bank of Canada warned its review of the financial system that Canadians are at risk should there be a shock. “The elevated level of household indebtedness continues to be the most important domestic risk to financial stability in Canada,” the central bank noted. David Onyett-Jeffries of Royal Bank of Canada expects that the moderation of Canadian borrowers coupled with faster income will put “downward pressure” on the key debt-to-income measure, but it’s still likely to rise “modestly” over the short term. “More important in our view is that the cost to service these elevated debt levels remains manageable and even incorporating our forecast that policy rates will rise by 100 basis points by the end of 2013, debt service costs will stay historically low,” he said in a research note. While there’s an argument to be made for the Bank of Canada to begin hiking interest rates again, he added, the factors outside our borders are the ones Mark Carney is watching more closely. “From a policy perspective, while concerns regarding household debt levels could argue in favour of the Bank of Canada starting the process of normalizing interest rates, albeit at a very gradual pace so as to mitigate risks to domestic demand, recent communication from the central bank has made it fairly evident that policy is currently being guided largely by external events as the deterioration in the global economic outlook and heightened uncertainty regarding the European sovereign debt crisis outweighs domestic developments,” Mr. Onyett-Jeffries said. In a bid to avoid the regulatory capture that’s crippled other agencies, the Consumer Financial Protection Bureau is hiring outside the usual places and thinking outside the box. Consumer credit card balances shot up in May after tumbling the previous month, according to new data from the Federal Reserve. The Federal Reserve’s monthly G.19 consumer credit report, released Monday, showed a steep 11.2% rise in revolving debt as consumers resumed charging to their cards. Revolving debt, which in the report is made up almost entirely of credit card debt, rose by $8 billion in May to $870.2 billion. Many experts had predicted that card debt would rise. However, “the size of the increase was a bit of a surprise,” says Paul Edelstein, director of financial economics at IHS Global Insight. A rise in credit card debt is often a positive economic sign, in that it may show consumers are confident enough to tackle more debt. But this may be a temporary blip, experts said: The report covers May, and consumers’ hopes have been dampened since then by reports of disappointing job growth. “Consumers were still feeling pretty good in May, so it’s not surprising that they decided to take on some more credit card debt,” says Edelstein. However, “We know that consumer confidence took a hit in June. The jobs reports have been terrible. The stock market hasn’t been doing very well.” It’s possible that “some of the bad economic news took some time to catch up” to consumers, he says. In the past 12 months’ reports, credit card debt — much like the economy — has bounced around, up seven months and down five. This month marks the single biggest percentage increase in revolving debt since 2007. That fluctuation makes experts doubt the staying power of the latest surge. “I really suspect we’re probably going to see softer spending numbers this month and last and we’re probably going to see that on the revolving numbers, as well,” says Edelstein. The Fed’s G.19 consumer credit report also looks at nonrevolving debt, which includes auto loans, student loans and loans for mobile homes, boats and trailers. Nonrevolving debt went up 6.5% to $1.7 trillion in May. Overall consumer credit — the combination of both revolving and nonrevolving debt — also increased, by $17.1 billion. Total consumer credit jumped a sharp 8% in May, to $2.57 trillion, the largest amount of debt since August 2008. Consumers may be feeling slightly more optimistic for now. However, they are facing significant economic headwinds and that could make them think twice about spending more than they can afford to pay back, say experts. The Labor Department announced Friday that the economy added just 80,000 jobs in June, falling short of expectations for the fourth consecutive month. The unemployment rate, in turn, didn’t budge. “The number of unemployed persons (12.7 million) was essentially unchanged in June, and the unemployment rate held at 8.2%,” said the department in a news release. It also revised its April and May jobs figures, reporting that the economy added slightly more jobs in May — 77,000 — than previously measured and added significantly fewer jobs — just 68,000 — in April. To get a sense of just how anemic those figures are, consider this: The economy added 243,000 jobs in January and 227,000 jobs in February. Add April, May and June figures together and it’s only a bit more — 285,000 jobs. Consumers’ incomes did at least rise slightly in May, according to the Commerce Department, giving some more room to charge to their cards. Gas prices also fell sharply, allowing consumers to spend that income elsewhere. “The gasoline index fell 6.8%, its largest one month decline since December 2008,” said the Commerce Department in a news release. That said, consumer spending was largely flat in May, according to multiple reports. Some economists are confident, however, that consumers will resume spending in the months ahead, which could translate to bigger balances later on. Consumers have also gotten significantly better at paying their bills on time, which economists say is another good sign. Late payments on consumer loans, including credit cards, mortgages and auto loans fell to their lowest level in five years in the first quarter of 2012, according to the American Bankers Association’s 2012 Consumer Credit Delinquency Bulletin. “This is clearly an indication that consumers are doing a better job managing their finances,” said the association’s Keith Leggett. However, he cautions, if the economy continues to deteriorate, that could make it harder for them to pay their bills. That’s especially true, he says, since many consumers that survived the Great Recession are facing a long-term economic slump with no real safety net. “They are not prepared for the rainy day that may come,” says Leggett. Leggett compares it to the Great Depression when consumers turned thriftier for life after experiencing the worst economic downturn in modern history. This time, he says, a new generation of consumers may be similarly scarred and less likely to take on excessive debt. As more consumers get comfortable with spending at least some of their income on credit, banks are continuing to go after new customers, according to the Ipsos Mail Monitor, which tracks credit card mailings. Although “all the major issuers cut back in April to a level we had not seen in years,” they resumed sending out a larger number of offers in May, said Roy Persson, director of competitive tracking services at Ipsos, in an email. That said, few issuers changed the terms of their offers, including on promotions. However, there were a few exceptions. For example, “in May, we saw Discover bring back a 24-month balance transfer period,” said Persson. Most balance transfer credit cards offer interest-free transfer periods of just six to 12 months, according to CreditCards.com data. Ray’s Take The very last thing a credit card company wants is a customer who carefully pays their balance in full and on time and avoids having to pay any of their interest and small print penalties and fees. The companies that issue credit cards usually have the words “for profit” in their charters, and they want you in debt – the deeper the better. They certainly are successful at keeping us that way: the average American family carries some $8,000 in credit card debt, and they’re paying some of the highest interest rates that legally exist. That conveniently small minimum payment you see printed on every credit card statement is a visual enticement to get and keep you in debt. It practically begs you to put off payment in full until that raise, bonus, or whatever comes around. Of course, by then the double-digit interest will have mounted up substantially and the credit card company will have you looking at a debt that could take years to pay off, adding on more and more high interest all the while. Before you know it, the interest you have incurred far exceeds your actual purchases. Then there are all the fees you can incur: not just the annual fees but late fees – for paying just one day late, you’re paying over-your-credit-limit fees, cash withdrawal fees and foreign transaction fees. Credit card companies also have the right to change your interest rate. If you take a misstep you can count on your interest rate going up – not only on your new purchases but on your entire balance. Credit cards are a necessary modern convenience. How you handle them is up to you. You should be sure you have the money to pay for the charge before the card ever comes out of your wallet. They can provide perks and convenient accounting or lead you into a life of indentured servitude. Credit card companies didn’t grow to be a multibillion-dollar industry by simply facilitating purchase transactions. They grew huge by getting and keeping people in debt. Dana’s Take If you have children or teens, they are watching your money habits. If their parents never use cash, they won’t expect to either. Cash gives children, teens (and adults) a better sense of where their money is going. It’s also a math lesson for younger kids in how to make change. Start the money conversation at any age. If you have credit cards, include your kids and teens in the bill paying process. They will better understand the full payment cycle. Tell them how you feel about credit, even mistakes you may have made. Help them understand that “credit” really means debt. Maybe even refer to the plastic cards as debt cards. Debit cards still look like plastic money to kids. If they’re old enough, ask them to help you balance your checking account. They will see that every swipe of the card is money out of the family piggybank. The portion of consumers with payments overdue on credit cards, auto loans and other debt dropped in the first three months of the year to the lowest level since 2007, according to the American Bankers Assn. Overall, the percentage of consumer loans that were at least 30 days overdue dropped to 2.35% in the January-through-March period, down from 2.49% in the last quarter of 2012. It was the best performance since the second quarter of 2007, and put consumer delinquencies below the 15-year average of 2.4%, the group said. At the worst point during the Great Recession and its aftermath, about 3.35% of consumer loans were overdue. The group’s quarterly Consumer Credit Delinquency Bulletin tracks overdue payments in 11 categories. Ten of those categories showed improvements in the first quarter, which Chessen said was remarkable given the sharp increase in gas prices in the first three months of the year. Consumers showed great improvement on credit card debt. The percentage of overdue credit card payments fell to 3.08% in the first quarter from 3.17%. It was the lowest level since 2001. In mid-2009, about 5% of all credit card accounts were delinquent. Delinquencies rose only in home equity lines of credit, to 1.78% of all accounts from 1.69% in the previous quarter. Chessen attributed the increase to the continued fallout from the housing crisis. “It will be many quarters before delinquencies on home equity loans get back to anything close to normal,” he said. Chessen expects delinquency rates to continue to drop, but not as dramatically as in the last two quarters.